I am very excited to be able to announce that Microsoft has made me a Data Platform MVP. This is a big thrill. The right words escape me, I will have to make do with these. I love this song from the Wizard of Oz. Unfortunately, the scarecrow never gets a brain, instead he gets a honorary degree. I wish having an MVP award would make me smarter, but unfortunately, it does not do that. Frankly it means I am in very intimidating mental company as when I wrote this, there were only 370 Data Platform MVPs. Most likely I need to learn a lot more and maybe write a book so I can keep up. One thing I do try to do is share what I know by blogging and speaking, if for no other reason than I don’t want to be a hypocrite. When I was learning SSIS, the person leading the project was tuning SSIS and he would not show me how. He obfuscated, and made SSIS tuning out to be wizardry. I thought to myself at the time, that he should tell me what he knows as I would do that. Later I found out the rules, and gave a few talks about SSIS, including one for the PASS Data Warehousing and Business Intelligence Virtual Chapter which was recorded here. If I learn something, I want to tell other people, which is why I blog and speak. I think this is the greatest profession in the world and I feel bad for people who have chosen to do something else as the data platform stuff and they are missing out. There are a ton of new technology things to learn coming up all the time. I keep up as much as I can and when I do learn something, I tend to blog or speak about it. If you subscribe to this blog or follow me on twitter, hopefully keeping up will be easier. I don’t want Microsoft to think that they made a mistake, so I plan on trying to increase the number of blog posts and speak when I am afforded the chance. I wanted to make sure to talk about the next place I will be speaking, SQL Saturday Phoenix, the largest data related technology event in the state of Arizona. I know it is going to be a great event thanks to Joe Barth and the rest of us on the organizing committee who have volunteered to make this a great event. The Arizona SQL Server Users Group was where I learned about the SQL Server Community and was where I started to really get motivated to start learning and I am happy to be a part of it. I hope to see you there. 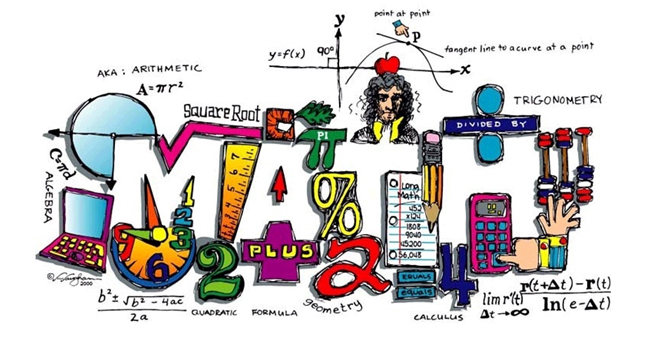 How many times have you heard someone say, “I’m not good at Math”? Often times this statement is used as a reason why something technical cannot possibly be pursued. It’s a self-inflicted limitation; a reason that entire areas of study cannot be pursued. If you have ever said this, stop it. Don’t repeat it even if you believe you are not good at math. Why? Because while you may not be good at math now, there is no reason why that should stop you from learning it. Years ago, back in the days before PCs and more importantly computer science degrees offered by major universities, IBM was working on developing mainframe computers and needed people to help them develop them. Since there were no computer science degrees being offered at that time, they hired people with degrees in Math and Music. Music? Why Music? 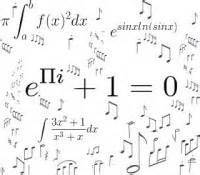 Music uses the same part of the brain as math does. This is one of the reasons educators think that music should be taught to small children as it has been shown to improve math scores. Personally I have found it interesting to ask technical people if they play or have played an instrument. Ask around yourself and you may be surprised at the large number of people in technical fields who have or do play a musical instrument. Musicians have the brain training needed to be good technical people, regardless of their math skills. There are no limits to what you can learn, other than the limits you put on yourself. The brain is very complex and there are infinite ways to train it to do something. Generally speaking one is not good at math because they haven’t learned it. Oddly enough, discouraging one’s ability to learn often starts in school. If this sounds familiar, remember life isn’t school. Often times a school setting isn’t the best way to learn anything. Performance in class is not indicative of one’s ability to learn. It may have be the ability of the instructor to teach or willingness to focus at that time. I am willing to bet you don’t view the world the way you did when you were sixteen, so why would you judge your ability to learn with that same filter? I know a very smart developer who told me recently that he wasn’t good at math, so he couldn’t possibly do machine learning. Really. PowerShell, Networking, TSQL, C#, SSIS, MDX and DAX you could learn but you can’t teach yourself Machine Learning? I am not going to say it is easy, but I wouldn’t say that about any of the other development and IT tasks either. If you can learn one of those, you can learn Machine Learning too, despite your belief in your math skills. There is no reason why not. I think Yoda said it best “Do or do not. There is no Try”. There is nothing really stopping you. 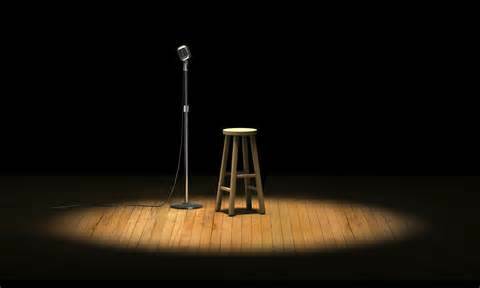 If one wants to get better at public speaking, there is no better way of doing that than to practice. Personally I think the best experience are where you are giving a talk to an audience, as that seems to improve my performance better than speaking to a mirror. I also read a lot of blogs regarding public speaking hoping to learn some tips. One of the things I know not to do, but I do anyway is add in those nothing works like “um” or “ah”. I know that I shouldn’t. I also know I shouldn’t procrastinate, but I find myself doing that sometimes as well. Sometimes you have to figure out ways to make yourself do things, like making a deadline so you can hit it or putting yourself in a situation where you are asking people to criticize your speaking skills. If the goal is to get better, I think you have to move yourself out of the comfort zone you may be occupying in order to make that happen. For those of you who haven’t heard of PASS Speaker Idol, which is understandable since it has only been around for a year, it is a competition where 12 people compete by giving a five minute technical speech on a topic of their choice in front of an audience and a panel of judges. There are four rounds of competition, and 3 people will advance to the finals. The winner will get to speak at PASS Summit next year on a topic of their choice. Here are all the competitors, and the competition times. 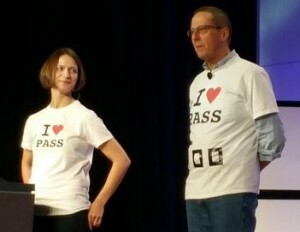 If you are at PASS Summit hopefully you can attend some of the sessions. You will notice I am going on the first day. I’ve decided to give a talk on SSIS, and figured out how to talk for only five minutes. I’ve been practicing, run through my demo, and took pictures of the demo in case it doesn’t work that day. After reading everything I could find on what happened last year, I’m feeling pretty good about my chances. Many thanks to Rob Volk t | b on all of the great information he put out about last year’s competition. A big thanks also to Denny Cherry t | b for not only starting the Speaker Idol contest but doing it again this year. Regardless how the competition turns out, I will win information from those people who watch me speak how I can be a better speaker. Hopefully they won’t catch me saying “um” but I plan on learning how to apply some of the other things I learn to improve my talks the next time. If you are interested in where I am speaking next time, please take a look at the Engagements page on my blog where I list everywhere I have or will be speaking. One of the places I will be speaking is at the PASS Business Analytics Conference in May. I am thrilled to be able to talk about Implementing Successful Data Analytics Management Practices for two hours. After this week, I’m sure that presentation, and others will be even better than they would be. If you want to know how Speaker Idol turns out, please subscribe to my blog where I will be letting you know how it all turned out.